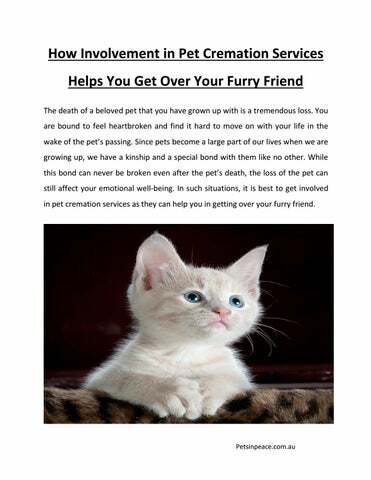 How Involvement in Pet Cremation Services Helps You Get Over Your Furry Friend The death of a beloved pet that you have grown up with is a tremendous loss. You are bound to feel heartbroken and find it hard to move on with your life in the wake of the petâ&#x20AC;&#x2122;s passing. Since pets become a large part of our lives when we are growing up, we have a kinship and a special bond with them like no other. While this bond can never be broken even after the petâ&#x20AC;&#x2122;s death, the loss of the pet can still affect your emotional well-being. 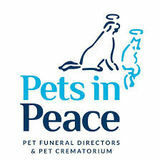 In such situations, it is best to get involved in pet cremation services as they can help you in getting over your furry friend.